Welcome to CMG’s Fortnite Battle Royale challenge ladders! This is where you can join in on high quality, PC challenges for money!  Our Fortnite challenge matches are live and ready to deal out cash prizes for the victors. Competitive Video Gaming for all skill levels has never been so accessible! Whether you are bringing your team, a partner, or lone wolfing, we have 4v4, duo, and solo ladders ready to challenge you with high quality online gaming. CheckMate Gaming’s eSports tournaments are the best way for gamers to test their skills in a true challenge. Anyone can play in our tournaments for money on the platform of their choice. Checkmate will garner the highest payouts and value for your money when it comes to competitive matches. These tournaments are intense and challenging, which makes the prize we offer for the winners all the sweeter. Sign up and play games for money now! Our schedule may be subject to change as it reflects the popularity of all the current titles we offer. There needs to be enough participants to offer a worthwhile cash prize to incentivize play. Epic’s juggernaut of a game now has a proper way to support fair and lucrative challenge matches. CMG is the name you should remember when you think Fortnite! We hope you enjoy all that we have to offer! CheckMate Gaming’s goal for the PC challenge experience is to garner experience and up participants’ playstyles, so that the competitive gaming scene is thriving in community. This ensures game life longevity and the amount of fun had during matches. Whether a player makes a sick play and basks in the glory of a cash money prize or loses a close, nail-biter set, the goal is to always take away a new perspective and a bit of growth. This is where we are truly unrivaled in the online eSports community. We pride ourselves in listening to our community so be sure pay close attention to our tournament listings as we continue to grow and offer a sense of advancement and camaraderie in our ladders. Whether through our professional staff, our well versed live support crew, or our responsiveness to new requests from our player base, CMG makes a real connection with its participants and (because of that) can ensure a high quality, satisfying experience.